Starting an online store is one of the most cost-effective idea for all the start-ups and well-established businesses out there. 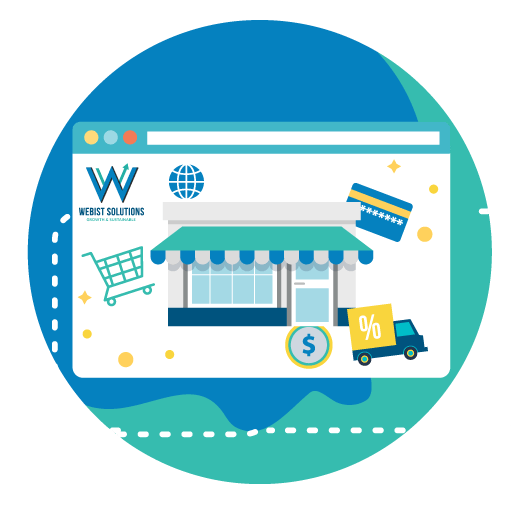 For most of the relatively small size businesses, you don’t need a lot of capital to start an online store as compared to renting or owning a retail shop which will incur high rental expenses. Even if you’re having a retail shop for now, an online store could allow you to reach out to a wider audience and drives you to be more competitive among your niche market. An online store, e-store, e-shop, internet shop, web store, web shop, virtual shop or even online catalog can definitely boost your sales with the highest return of investments (ROI). It is suitable for business-to-business (B2B) and business-to-consumer (B2C) transactions. Our E-commerce website system allows you to manage your online store easily. You’re able to create unlimited categories, subcategories and items with a few clicks. Upload the images and organize them with our media library system. Inventory and shipping management are available to you as well to suit all your needs. We support online and offline payment gateways that would provide great flexibility for you.